Check out the latest Sports Crate by Loot Crate News on My Subscription Addiction! Sports Crate NBA Edition – April 2018 Theme + Item Spoiler! 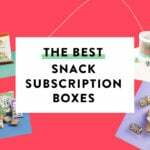 Sports Crate by Loot Crate: NBA Edition December 2017 FULL Spoilers + Coupon! Sports Crate NBA Edition – February 2017 Theme + Item Spoiler! Sports Crate by Loot Crate: NBA Edition – Available Now + December 2017 Item Spoiler! Sports Crate by Loot Crate: MLB Edition May 2017 FULL Spoilers! 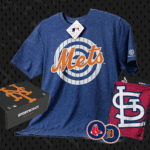 Sports Crate by Loot Crate: MLB Edition – Available Now + May 2017 Theme & Item Spoiler! New Subscription Box from Loot Crate Coming Soon: Sports Crate!